The end of March is already here and as a new month arrives, so does a wide range of exciting products which have just been made available from VioVet. 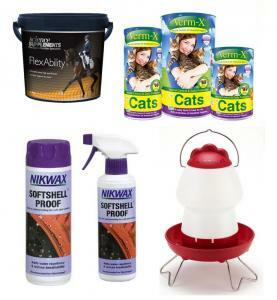 In this month's selection of products we have a range of horse supplements available from Science Supplements, which make sure your horse is receiving ingredients with proven effectiveness. Another product range which has now become fully available from VioVet is Verm-X, which provide products to support the intestinal health of animals. One exciting item from this range is the Cat Crunchies Biscuit Treats which you can read about below. Of course we cannot forget our dedicated poultry owners, who now have the chance to treat their birds with a brand new drinker from Feathers & Beaky, as well as a selection of other treats for their ground birds. 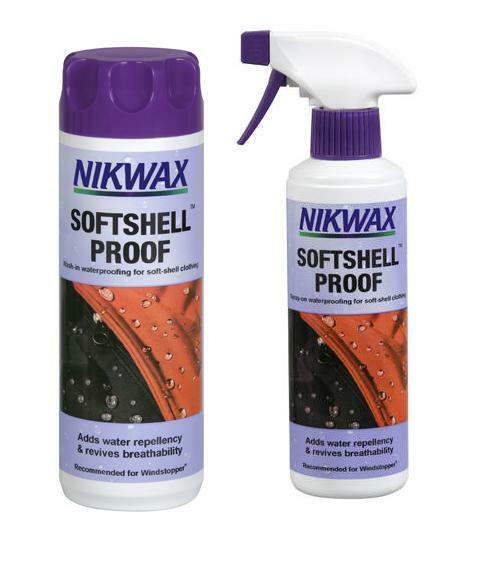 Our last highlighted range is from Nikwax who produce a large range of cleaning and waterproofing products for all sorts of materials, perfect timing for the dreaded April showers. Science Supplements was founded back in 2003 by Dr David Marlin who is a scientist with an impressive 25 years in the horse industry, and is a respected author of a selection of books and scientific publications. The company first started to supply the supplements to professionals trainers, riders and producers, but more recently they have been enabled to expand out to the wider audience of horse owners everywhere. Their products contain only ingredients which have been clinically and scientifically proven to be of benefit to your horse in various areas. There are no additional fillers or unnecessary ingredients in these supplements and they are happy to show all of what is in the products to allow the user to see exactly what their horse is getting. Verm-X is a company which produces totally natural intestinal hygiene products for animals. It was born due to the concern for how many chemicals and artificial ingredients were added to products which were routinely given to animals. It was originally produced just for horses but has since expanded to farm animals and pets kept at home, including cats, dogs, rabbits, birds, hamsters, guinea pigs and many more. The same rules apply to the whole Verm-X range, being that they are made with just herbs and quality, natural ingredients. The included herbs have stood the test of time for being effective remedies, much more than their man-made counterparts. Cat Crunchies are treats which have been developed for our feline friends. As with all of Verm-X, they contain a combination of natural herbs to help maintain intestinal health. They have also been made highly palatable for your cat through the inclusion of real pieces of salmon and chicken, with added catnip to provide extra taste and get them into a more playful mood. You can feed these treats daily to any age of cat or kitten, and as they are wheat, gluten and cereal free they are an ideal snack for cats which suffer from allergies or who have sensitive digestions. There are many chicken owners in the country who rely on their pets to provide them with tasty eggs as well as being an enjoyable animal to look after. They do, like all pets, require care and attention, including an appropriate feed and environment for them to live in. Feathers & Beaky provide a range of chicken feeds and accessories to make it easier to ensure you are giving your chickens a balanced diet as well as easy to use equipment to provide their food and drink. Now available is the Feathers & Beaky Top Fill Drinker which gives your chickens a sturdy place to get their water while allowing you to easily refill without having to pick up every time and spread any mess around - just remove the top and pour the water in. This feeder is anti-tip to stop even the most boisterous of chickens knocking the water over the floor. Just adjust to the required height which suits your chickens and let them drink away. Nikwax has been providing high quality cleaning and waterproofing products for many years, making improvements over time which have given rise to a wide range of water-based products which are safe and easy to use. VioVet have now completed the range of products just in time for any wet weather we are bound to experience in the lead up to summer. Whether you are out walking your dog or out in the field with your horse, it is always best to be ready for the weather should it suddenly change. One of the products now available from VioVet is Nikwax Softshell Proof, which provides waterproofing for softshell clothing in either a wash-in liquid to use in the washing machine, or as a spray which you can apply directly to the material. If your garments start to absorb water then their durable water repellent coating will need to be maintained, which can easily be done with Nikwax Softshell Proof.